My wife Hemaprabha and I are a regular middle class couple. We have been married since February 2007. Everything changed a year and half back when my wife was diagnosed with a serious form of skin disease, named Phemphugis Vulgaris, which causes painful blisters and sores on the skin, mucous membranes such as the mouth and around the private parts of the body. We will never be able to have children. Phemphigus is an autoimmune disorder that attacks healthy cells in the body, which creates open sores, making the patient severely vulnerable to infections through the skin or bloodstream, and can be fatal. Medication causes high blood pressure and related side effects. My wife's traumatic episode started with a small blister that erupted in her mouth. Her dentist prescribed a three-day course, but did not prove effective. We then went to a multi-specialty, where she was treated for oral candidiasis. However, after three days, my wife was in terrible pain all over her body and the doctors were still unable to determine the cause inspite of a battery of a tests. 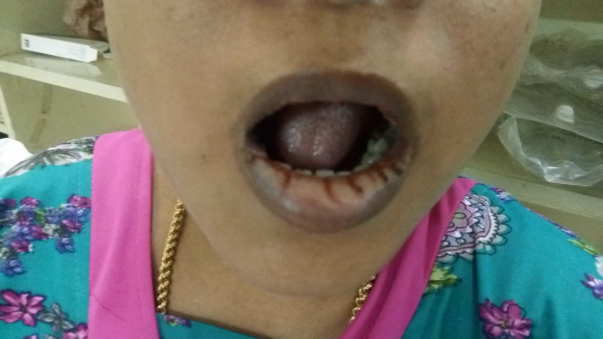 Finally, a skin doctor confirmed that she is suffering from Pemphugid Vulgaris, a rare skin disorder and will require steroids (corticosteroids) for the rest of her life to keep the disease under check. She will also need immunosuppressant medication to ensure that the immune system stops damaging healthy tissues. If left untreated, it can result in death due to secondary infection. Prescribed Treatment Corticosteroids and Immune-Suppressing Drugs .A high dose of corticosteroids is the core treatment for this life-long condition. Common corticosteroids include prednisone or prednisolone. A high dose is usually given to control the condition at first, and over a period of time, the dosage is reduced depending on the response. Diabetes, Osteoporosis, Cataracts, Glaucoma, Increased blood sugar, Loss of muscle tissue, Stomach ulcers, Water retention, Kidney failure, Heart attack, to name a few. I have used up all my assets including loans from friends and relatives, jewelry, and property. 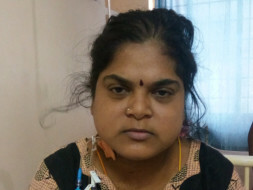 Insurance companies have denied her insurance due to her condition. I have come to you as a last resort to help me with financial assistance for her treatment. 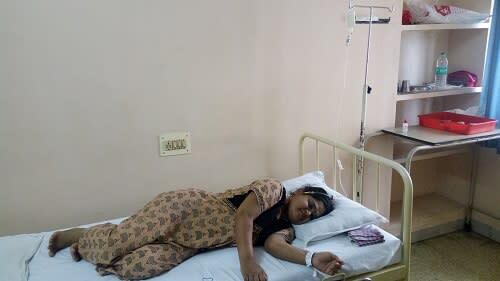 An average cost of her treatment including medication, hospital visits comes to 500000 lakh's a year . My current income is not enough to support our family and her treatment. My wife is now steroids and insulin injections on a daily basis. I will keep you posted on her health soon. Here is a quick update on my wife's health. It has been almost one week that she is not doing fine. She is suffering from fever and also there is weakness and she feels tired. She is on regular medication - antibiotics, steroids, etc. Withdrawn funds will be used to settle down the medical expenses incurred on her treatment. May the Divine help you recover soon.